Camera Obscura - Ran Blake & Sara Serpa (Inner Circle Music) - Short (under 30 minutes) and often bittersweet, this is such a fine diversion. Blake plays blues like a painter working around the canvass. As Serpa addresses the melody of "When Sunny Gets Blue", the pianist suggests clouds racing across the sky, dropping a bit of stride, getting a bit atonal near the finish. The playful "Our Fair Cat" shows a lighter side of both the vocalist and pianist while "Folhas", based on a poem by Eugenio de Andrade (with music by Serpa) has a gravity and weight. Serpa sings in Portuguese and the words easily slide off her tongue. Sammy Cahn's "I Should Care" and Thelonious Monk's "Nutty"is dedicated to the latter composer with the former tune given a a straight vocal reading over tolling chords and the latter living up to its name, with Blake barely suggesting the melody line, leaving a trail of notes and chordal interjections. Serpa takes the vocal line up to the top of her range with joy. Despite its brevity, "Camera Obscura" is quite satisfying, making it quite easy to hit the "replay" button several times. The musical poetry of Ran Blake's abstract playing combined with the purity and softness of Sara Serpa's voice is soothing at the end of a long day. For more information, go to www.innercirclemusic.com. Josh Jackson conducted a fine interview with the duo for WBGO's "The Checkout" and you can hear it by clicking here. The title track opens and closes the CD. The first version has more of a ballad feel, with Blake moving cat-like behind the rich vocal tones. His solo in the middle is filled with long tones, big chords, sly blues riffs and a harsh then soft lead back to the vocal. The second version is Correa by herself - here, she allows her voice to lengthen certain words, riffing on the melody but never losing the flow of the song while plumbing its emotional depths. Ran Blake is a musician who never settles for the routine, always digging to find the different ways a melody can be played, a harmony exposed, a thought carried on. Christine Correa also has no fear of moving a piece in an unexpected direction and seems to delight in the melodic possibilities of words. Take a chance and explore these worlds; these journeys should pique your curiosity. For more information, go to www.ranblake.com or redpianorecords.com. Foxy - Jon Irabagon (Hot Cup Records) - Tenor saxophonist Irabagon, who plies his trade with the creative quartet Mostly Other People Do The Killing as well as his own solo projects, has created a CD that begs for a plethora of adjectives. Though the cover lists 12 tracks (covering over 78 minutes! ), "Foxy" is basically one long "hit." Jazz fans can easily see from the cover a clever homage to Sonny Rollins's "Way Out West" as well as the titles that refer to the Master's "Doxy" and Irabagon throws quotes from "standards" throughout. Buoyed by the strenuous bass lines of Peter Brendler and propelled by the crashing cymbals and pounding drums of Barry Altschul, Irabagon lets loose with mammoth solo after mammoth solo. Every once in a while, he'll chill out for a few bars but, most of the time, he's piling riff upon riff. Not for the faint of heart, this "foxy" music. There are moments when the saxophonist finds a riff and rides its for several choruses while the drummer rumbles and the bass lines ramble. It's hard to notice because of the incessant barrage of sounds but there are numerous tempo changes and new melody lines introduced. There are blues riffs, shuffle beats, "walking" bass lines, moments of "free" interchanges, be-bop "jump" lines, and the occasional "softer" sections. Exhilarating yet exhausting, "Foxy" begins with the band fading in in full flight and ends abruptly as they are "wailing" away. The concept and cover art may seem "tongue-in-cheek" but the music is seriously "hot." For more information, go to http://jonirabagon.com. This new CD, featuring long-time cohort Omer Avital (bass) and the inspired work of drummer Nasheet Waits (he's just about everywhere lately, making many different bands sound really good), is light-years ahead of that debut. Cohen's sound and style has matured; one can hear scores of jazz trumpeters in his smears, in his innate understanding of the blues, and in the creative interaction with his band. 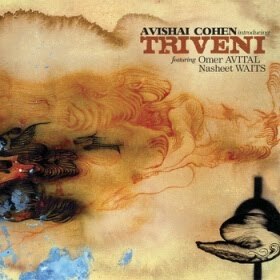 Avital is one of the more melodic bassists on the scene and an excellent soloist, with his thick tones and melodic phrases. He stops the show on "Ferrara Napoly", plucking chords and playing chatty blues riffs. He shares the melody line with Cohen on "One Man's Idea" which references Ornette Coleman and bebop - Waits and the trumpeter spar throughout, parsing the melody line and the rhythms. The middle of the program features a multi-sectioned rearrangement of Don Cherry's "Art Deco" with a "free" intro, a dollop of bop, a smashing drum solo that moves from a romp into a slow Crescent City march before the piece returns to its free-form opening to close out. "Mood Indigo" commences as a "slow drag", the trumpet muted and bluesy, the bass providing both melodic counterpoint and support while the drums slip and slide but never get sloppy. Waits opens John Coltrane's "Wise One" with a long yet focussed solo, quite soft yet powerful. In the next section, the trio play around the changes, a long rubato dance before moving into a loping beat (provided by the bass) building in intensity before Cohen leads the rhythm section to the finish. The program goes from strength to strength, with the quiet ballad "Amenu" (more muted trumpet, with a nod towards the sound of Miles Davis), a gently swinging take of Cole Porter's "You'd Be So Nice To Come Home To" (melodic trumpet lines, great brushes and bass drum work from Waits and another fine bass solo) and closing with the funky "October 25th." The interplay of the trumpet and drums on the last track is joyous, playful, and truly exciting. "Introducing Triveni" was recorded in 10 hours over 2 days in front of an invited audience (one only hears applause at the close of the final cut), with the trio creating enough music to fill a second CD to be released next year. Make room on your "Best of 2010" list for this excellent recording. The CD hits the stores, both physical and digital, on September 28. For more information, go to www.AnzicRecords.com. One of the great perfectionists in creative music, Mr. Rollins has confounded critics and reviewers with what some have called lack-luster groups and sub-par recordings. But, his live shows usually transcends the bands and give viewers/listeners a glimpse of a great soloist who continues to push forward, practicing every day so that he can continue to make music on the highest level. 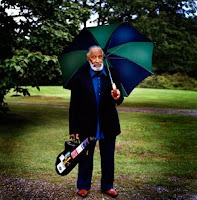 Go to his web site - www.sonnyrollins.com - and watch the videos of Bret Primack's interviews. Fascinating stuff. Long may he play. The program commences with "Blessing", an up-tempo piece that sounds as if it came from the pen of South African pianist Abdullah Ibrahim with its bouncy rhythms and unison melody (and a pleasing counterpoint from the trumpet.) Several pieces, including "She Stands In a Room" and "From The River" remind this listener of the sweet yet melancholy works of Robin Holcomb (abetted by Goldberg's woody clarinet tones.) Ms. Melford's blues roots are apparent on the high-strutting opening section of "At Zebulon" and throughout the funeral-march blues/"second line" of "To New Orleans" that closes the program. I love the simplicity in much of what Ms. Melford adds to several of these songs, strengthening the mood instead of displaying her impressive "chops." She and Goldberg play around each other on "In Resonance Light Takes Place", her most impressionistic section on the CD. Earlier in 2010, Ms. Melford was part of drummer Allison Miller's trio on "Boom Tic Boom", showing her versatility and striking work in a group setting. Amendola is the right drummer for this music; he is propulsive, raucous, sensitive, supportive and quite musical. His floor-tom work on "Fall Has Arrived" gives the work its gravitas, allowing Harris to move around in counterpoint to Goldberg's melodic and solo work. The bassist's round notes stand out on many tracks, including his work with Ms, Melford's percussive piano on "Possibility." Despite the fact she is the leader (and wrote 11 of the 12 tracks), Ms. Wilson does not solo or even play trumpet on every track. She has a crisp attack, fairly bright tone, but does not go in for long flights of notes or breathless solos. Her muted trumpet solo on "In Resonance Light Takes Place" is made of short, staccato, phrases and little rhythmic riffs. Her vocal work is often unadorned, rarely straying away from melody, even overdubbing a wordless vocal onto "She Stands In a Room." Ms. Wilson takes the Joy Division hit from 1980, "Love Will Tear Us Apart", slowing it down, allowing the song to breathe - the minimalist piano is stark compared to the flurry of notes from Goldberg. "Trapeze Project" will please adventurous listeners, at times tickling your ears or soothing them and, once in a while, even presenting challenging sounds. Both the rewards and joys are plentiful on this most impressive recording. For more information, go to www.sarahwilsonmusic.com.